Our team continues to encourage security leaders to conduct preparedness, security, and operations based on a threat-informed and risk-based understanding of our current and emerging operational environment. As we at Gate 15 conduct our day-to-day analytical and preparedness activities, we continue to promote the importance of considering blended threats, which are an increasing reality in our interwoven operational environments. 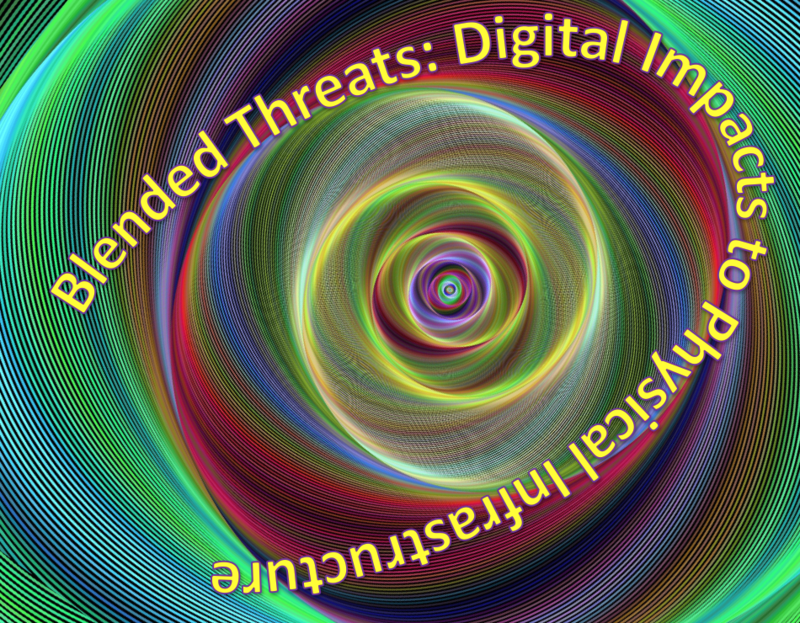 When others identify threats, incidents or otherwise raise awareness of blended threats, we’re happy to share their thoughtful work. On 09 Oct, Steve Povolny, @spovolny authored a post on the McAfee Labs blog titled, “When the Digital Impacts the Physical.” In the post, Steve addresses recent cybersecurity issues that have had physical security impacts. Excerpts of his post follow, and we encourage readers to link and read the complete post from the McAfee website. Hospitals, health care, and medical tools and devices have evolved to become members of an interconnected ecosystem. Many health care systems connect to the internet to operate, the same holds true with numerous medical devices such as pacemakers. But that makes the latter part of the ‘Internet of Things,’ a growing collection of connected devices which are potentially vulnerable to cyberattack. In fact, there have already been reports of threats to these medical devices. Just last year, the FBI recalled half a million pacemakers, as a crucial flaw was discovered that could expose users to an attack. Additionally, security researchers recently revealed a chain of vulnerabilities in a particular pacemaker brand that an attacker could exploit to control implanted pacemakers remotely and cause physical harm to patients. Gate 15 is privileged to have the opportunity to support the Health ISAC and the 2018 Blended Threats exercise series. For more on that effort, see our January blog, “Taking a Proactive Approach to Blended Threats,” and more at Health ISAC. We at McAfee are working together with our entire industry to stop these types of attacks. We’re sharing threat intelligence, resources, and research findings to ensure we put up a united front against these threats. By learning from these attacks, we’re better preparing for those to come. We believe that together is power. And though these attacks are advanced, we know that acting together to stop them will be even more powerful. Our team applauds Steve and the team at McAfee Labs for their efforts to raise awareness on blended threats and to proactively engage with trusted partners to share, collaborate, and mitigate the risks that blended threats present to organizations and individuals. Our team routinely reviews McAfee’s open source content and we include appropriate information and reports in our free daily paper, the Gate 15 SUN. We encourage readers to consider the evolving blended threat environment and to take that into consideration as you plan and conduct preparedness, security and operations. Read more from Steve’s post here and see some of our previous posts on blended threats in the links below. ← Blended Threats: Mining Takes a Toll!